Earn 149 points to spend on future purchases. AirFit F20 For Her's frame flexes naturally to fit each individual user's facial profile, minimizing facial contact, improving stability, and providing an unrestricted field of view. F20 For Her doesn't require any facial contact above the eyes and integrated padding, within the frame, adds cushioning so you can read, watch TV and enjoy your bedtime routine without worrying about pinching, pressure or red marks from your mask. The AirFit F20 For Her includes Small Headgear with lavender highlights designed especially for women. The open crown headgear design is ideal for people with longer hair and hairstyles as well. 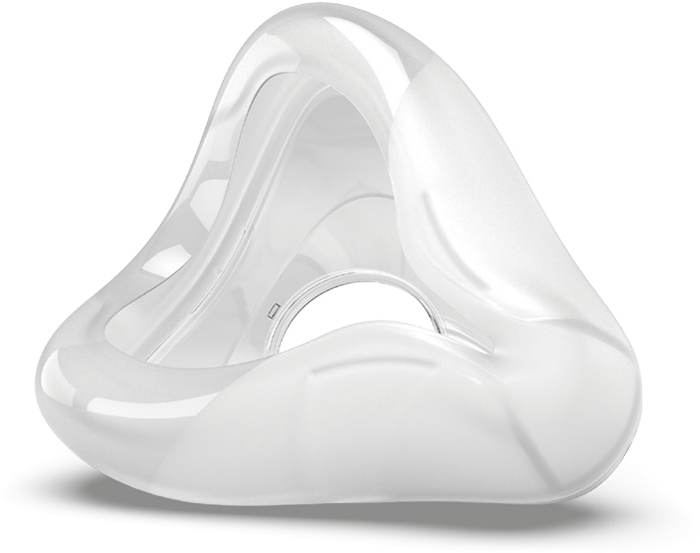 AirFit F20 For Her's ingenious full face cushion features "infinity" loops and variable thickness levels to help reduce blowout and provide support along the sides of the nose while relieving pressure at the nasal bridge. InfinitySeal's soft, frosted surfaces feel more natural on the skin and maintain a secure seal even at the highest sleep therapy pressure levels. Two cushion sizes are available -- Small and Medium -- to fit a wide range of users. Large cushions are also available as a separate item for users with larger facial profiles. Plush Headgear, specifically designed for extra softness and stability, is included with all F20 For Her masks. Rolled-edge fabric straps on the headgear are designed to be worn loosely so the InfinitySeal cushion can adapt to your individual facial contours without excessive pressure. Magnetic clips on the lower straps guide the headgear into the frame so it is quick and easy to put on and take off. All AirFit F20 For Her masks come with Small Headgear with lavender highlights. AirFit F20 For Her features ResMed's QuietAir Elbow with almost silent air dispersion and a more gentle exhaust airflow than ever before so everyone can enjoy a quiet, comfortable night's sleep. F20's elbow also features quick release squeeze-tabs so it's easy to detach with one hand at night; and it rotates 360° with an independent tube swivel to reduce tubing drag and resistance. 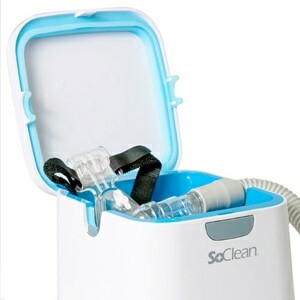 Intended Use The F20 is a non-invasive accessory used for channeling airflow (with or without supplemental oxygen) to a patient from a positive airway pressure (PAP) device such as a continuous positive airway pressure (CPAP) or bilevel system. 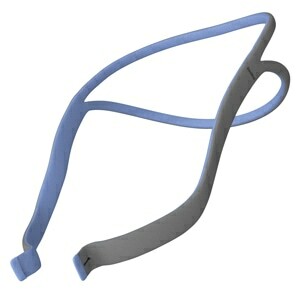 Magnetic Clips Alert Magnets are used in the lower headgear straps and the frame of the F20. Ensure the headgear and frame is kept at least 2" (50 mm) away from any active medical implant (eg, pacemaker or defibrillator) to avoid possible effects from localized magnetic fields. The magnetic field strength is less than 400 mT. 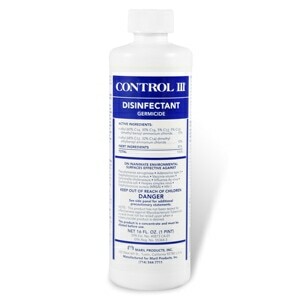 just switched to this mask last week, started with a small and it was too small, went to med and it is a little big so still having blowouts at the mouth edge and don't know what to do to fix this. Headgear is fine, airvent is better since it is lower so doesn't blow into my eyes, doesn't leave as many marks on my face. Over all it's okay if I can solve the blowout leak. Headgear fits great Cushion cuts into bridge of my nose - loosened it then leaks Material cushion is made of looks the same as my other mask cushion. I thought this was to be something that would conform to my face and not leak. This is the best mask I have tried and I hope ResMed continues to produce this mask because nothing else ever worked for me. Reduced my AHI from the 20s and 30s down to 1.9 within a few days. I use the medium size so it covers my mouth fully and prevents me from expelling air out of the sides. The Amara View Mask leaked like crazy. 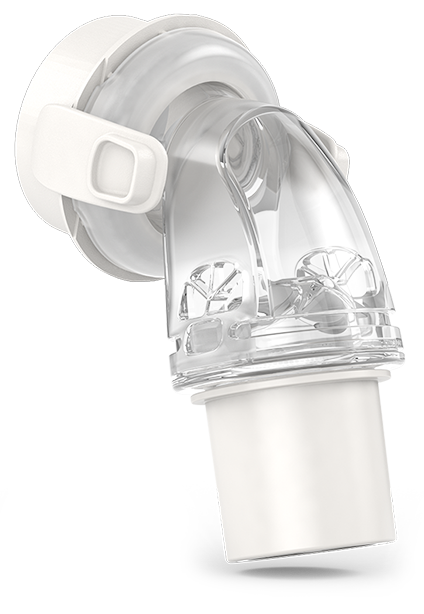 No leaks with the AirFit F20 full mask. 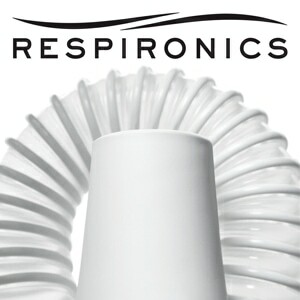 Direct Home Medical order was accurate, communication fast and delivery right on schedule. Thank you,,,please keep this item in stock. While this is a really nice, light product, there are issues with the headgear for her. The headgear is very small, and more fitted for a child than a grown woman. I am a small woman with a small face, and the gear was too tight. The mask fit was also too small in a small, and too large in a large. Perhaps it would be better to order the regular product, not the "For Her" series. After 4 1/2 years of trying various CPAP masks, I finally found one that works for me. Having tried all of the ResMed full-face masks during those years, I could not find one that did not leave me with a bruised nose or that did not keep me awake due to leaks. My face is narrow, as well as the bridge of my nose. After reading the description of this new mask, I decided to give it a try. With my previous experience, however, my expectations were not high. All I can say is, "Congratulations, ResMed! You finally got it right!" It fits without having to over-tighten the straps. There are absolutely NO leaks. It leaves NO marks.I can sleep on my side! 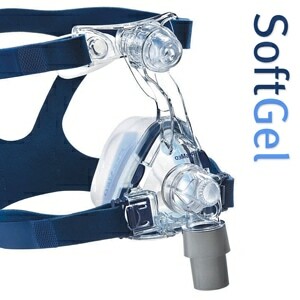 In short, it is a great mask and I can sleep the whole night without being awakened by my leaks or pain. I highly recommend this new mask.